New to betting? A flutter on the gigis makes a day at the races that bit more exciting, just don’t lose your shirt! Remember, there two types of popular standard bets – win and each-way. A win bet means your horse and jockey must both cross the line first. 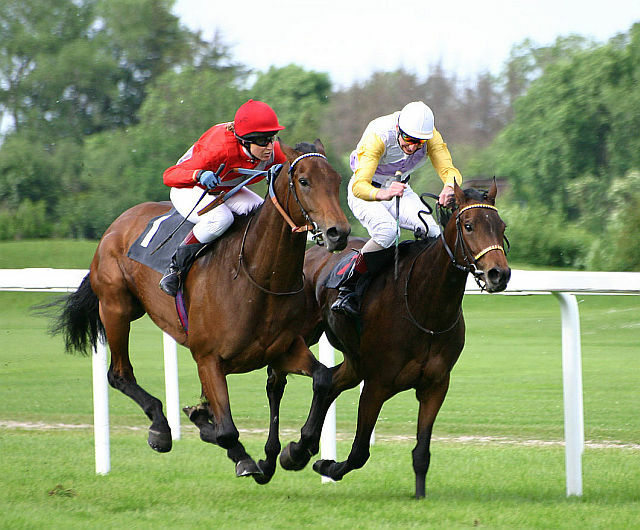 Each way means your horse has to finish in the placing of the race for you to win money, with each race offering different place terms, depending on the size of the field (how many runners). An each-way bet costs twice as much because it is two bets. Style is synonymous with Killarney Ladies Days. If you think you have what it takes to win one of the great prizes on offer for the most elegant and appropriately dressed race-goer, simply arrive early. You don’t have to enter: Judges scan the crowds for the most stylish candidates and invite chosen finalists to the Ladies Day Marquee. Those interested in entering the Best Dressed Lady Competition should be there early because the finalists are selected by about 3pm. It’s not all about horses: Killarney Racecourse also keeps the race goers well fed and watered. Dine in the elegant surroundings of the Panoramic Restaurant and enjoy live entertainment and great post-race craic at the Jim Culloty Bar, The Maurice O’ Donoghue Stand, and The Jockeys Whip. Have you any race tips?